The S.I. 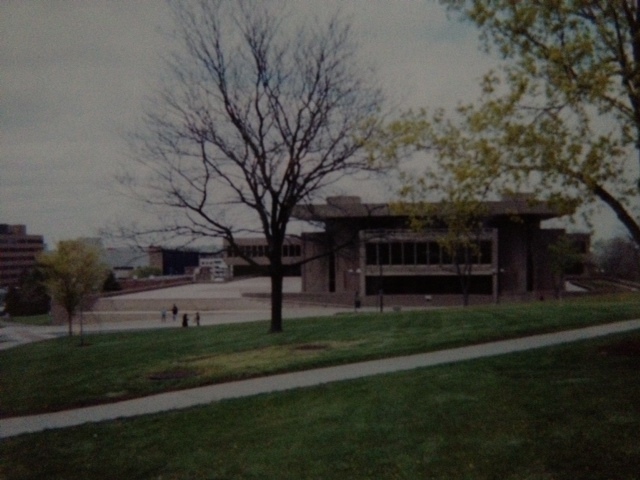 Newhouse School of Public Communications back in the day where a certain blogger cut her teeth. It is much sexier now, I am told, much like the blogger. Ok fine, not like the blogger. I wanted to get this post in before Hurricane Sandy cuts my electricity and my contact with the outside world. Also, I needed to get this out of my brain so I’ll stop exhausting myself. Last week’s graduation was followed the very next day by some humbling and baffling news. My alma mater has selected me for its professional gallery of alums it deems successful and worthy to grace its halls in portraiture. The gesture comes with mixed feelings on my part because a) college was a blur for me and b) receiving awards or recognition always feels strange as my motivation is usually to just avoid embarrassing my parents overly much. Also, the ensuing induction ceremony forces me to revisit something I am not proud of in the slightest. In college, I was lucky and blessed enough to meet one William Glavin, professor of magazine journalism, and an endearing, kind and loving friend. 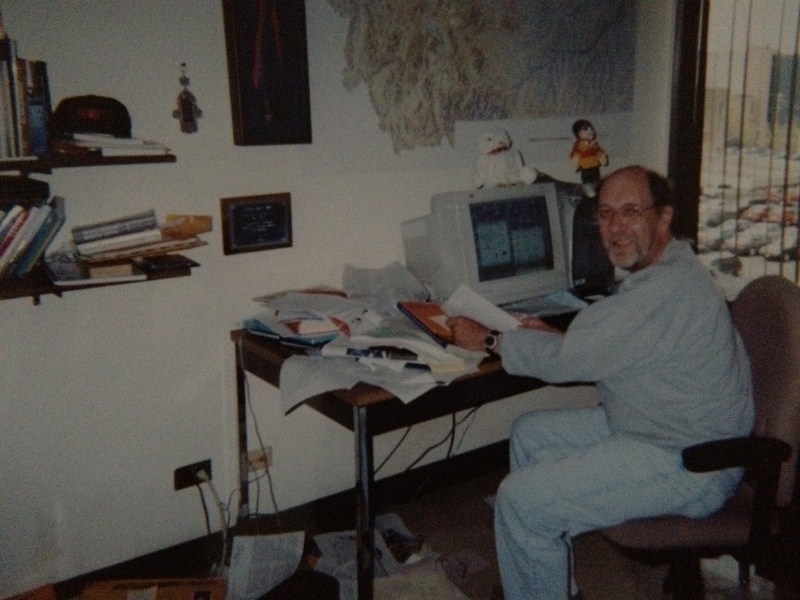 He was my most favorite person on campus and remained so long after I departed its snowy hills. My senior year, he was the only one I wanted speaking on my behalf at several awards ceremonies when other athletes had their coaches do the honors. I liked how he saw me and was touched by the beautiful words he shared with the various audiences. When I was in grad school, he’d take me to see the local minor league baseball team. And one warm spring afternoon, he taught me to fly fish in a Pennsylvania river. In many ways, he was ‘my person’ – a surrogate father and mentor. He knew I dreamed of becoming a magazine editor and encouraged me at every opportunity to write. 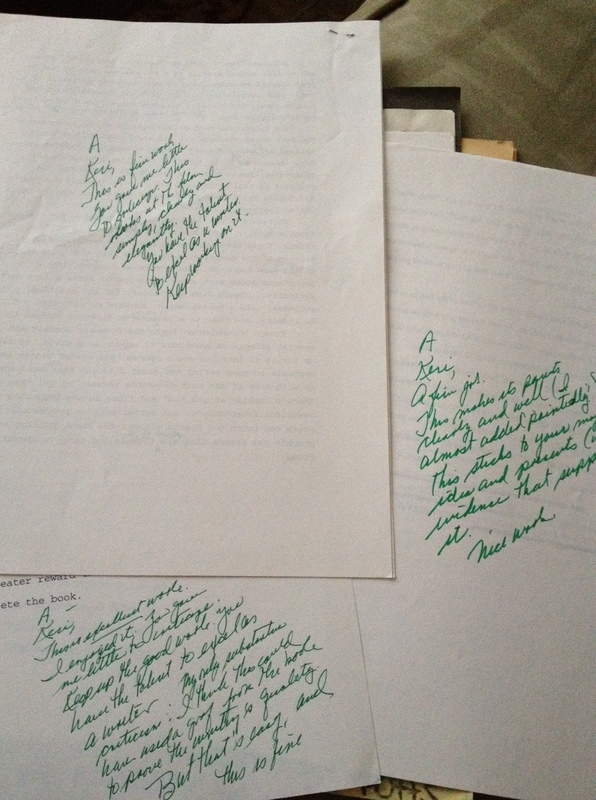 Any former student of his can tell you the hallmark of his grading papers was green-penned cursive championing what we did right and what we should improve upon in our writing. I eagerly read his notes, seeking in them the reinforcement that my talents were passably good. These are my little treasures I will keep for all time. After graduation, he would call me once per month, his gravelly voice crackling through the phone line, telling me his thoughts on a variety of Syracuse’s athletics teams. I cherished those calls and relied upon them especially in the early days of my career when I lived in Indiana and struggled to find my way. We maintained our communications for almost a decade. Then, one day, I boarded a plane to Rome, Italy, and he was diagnosed with cancer of the blood. Everything changed. All I can say, is that soon after, I withdrew into myself in a way that is very unlike me. We managed to communicate several times (I still have his email telling me he was proud of my decision to prosecute Marco), but then, I stopped reaching out to him because it felt wrong to burden him with my fears. His situation far outweighed mine and I did not want to pile on. I remember one of our last conversations. He was undergoing chemo at the hospital and his voice was weak, parched. He chattered, “Keri, I am so cold. I am soooo cold.” It shattered the tiny parts of my heart that weren’t already broken by then from our respective circumstances. Save for a brief visit in NYC where I kissed his pale, gaunt cheek, I never saw or talked to him again because he died a few months later while I was in Charleston, recovering from the verdict in my case. It is painful to admit that; it is shameful, really. But self-preservation is a mystifying process and primal in its disregard for others. I never got to say goodbye. With this blog, I have done my best to honor that command. On November 10, I will return to the college and the building that brought him into my life. I will be thinking of him and mourning him more fully than I did when he passed. And I just hope to God he forgives me because I am so very sorry I abandoned him that way. How I will always remember my friend. Beautiful tribute to a remarkable man. I’m so sorry for your loss.